Most Christians are taught the ACTS of prayer, which take you through Adoration, Confession, Thanksgiving, and Supplication. This tool becomes a framework for how many Christians pray. Unfortunately most never graduate past it, but instead add to it. Their prayer list increases with all of the good things to pray for. The lists include family, friends, their church, missionaries, people who are sick, people who are in need, the government, local government, their kid’s school system, and on and on. As the prayer list increases, the whole act of prayer becomes just something that needs to be checked off. A, C, and T of ACTS are moved through quickly to get to the items that need “the real attention”. The thought of sitting still and listening becomes an additional burden of something to add to the list. No longer can you just knock it out; you have to sit still and wait. How long do we have to wait? What if God doesn’t speak? “Thank God for the model trains, you know? I love the quote above because of the irrationality of the reasoning of which came first. But, what if it was true? And, what if people never advanced to the “big trains?” I believe this is what is happening with many Christians and prayer. What is the purpose of prayer? Is reading through a list really prayer anyhow? We need to focus on spending time with God. Paul tells us to pray without ceasing (1 Thessalonians 5:17). He wasn’t encouraging us to constantly read over our prayer lists. He definitely wasn’t getting us to ACTSACTSACTS etc. In everything. ask God what He wants you to do in that moment. When you want to spend specific time in prayer, ask God what He wants you to talk to him about. If you feel burdened for a specific issue, tell Him about it. Ask Him what you should pray regarding it. Prayer is not you trying to win back God’s favor; it is you participating in the favor He has for you. Delight in God. Have God delight in you. Ask Him what He wants you to know. Once you realize how much God loves you, you will never neglect spending time with Him because it will become your life and fuel for life. Prayer removes you from the burdens of life and resets your priorities on the eternal and real. When I was young Christian, I read Hearing God by Peter Lord. 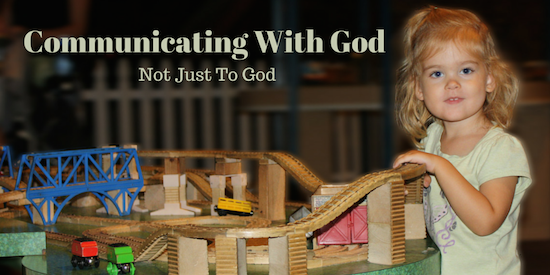 It was a book I would often refer back to, as it was a step-by-step guide to two-way communication with God. If you are interested in this article, I think you will like this book.